Kōloa is the birthplace of the Hawaiian sugar industry; Kōloa Planta?on and Kōloa Sugar Mill was the model for sugar plantations to follow. The signing of a lease, by Ladd & Co. and King Kamehameha III on July 29, 1835, for land at Kōloa, Kauaʻi marked the beginning of the sugar industry, which, more than any other, created modern Hawaii. Sugar provided the Hawaiian Islands with a foundation, playing a key part in bringing the Islands into a cosmopolitan society. 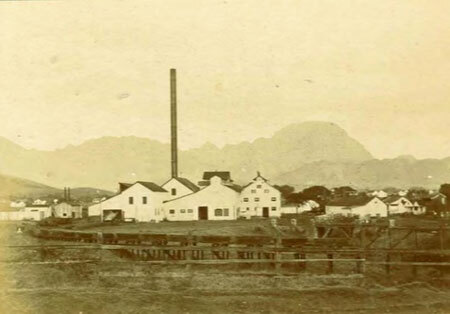 A mill was completed at Maulili Pool in 1836, but only molasses was produced the first year. The next year iron rollers were imported and a new mill built the first iron sugar mill in Hawaii. Hooper proudly told his partners, “our work at Maulili will forever remain a monument and an honor to the house of Ladd § Co.” Well might he congratulate himself, since the 4,286 pounds of sugar and 2,700 gallons of molasses produced in 1837 marked the first real production of sugar on a commercial scale in Hawaii.